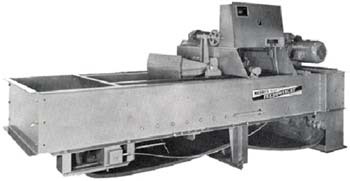 Many of the older mechanical and electronic weigh feeders still operating today have outdated equipment such as SCR’s, DC motors, controls, gearbox drives, etc. If they are still operating, why should they be upgraded? Modern components reduce wear and maintenance items, are more efficient and breathe new life into old feeders. As a result, an upgraded feeder can offer the benefits of improved accuracy and reduced maintenance without the cost of a new machine.Not a MERRICK feeder? 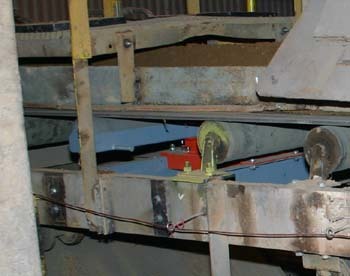 Not a problem, we provide upgrades for all makes and models of weightbelt feeders. Retrofit old style mechanical weighfeeders with modern electronics. Update the weigh suspension from mechanical, previous generation, to electronic or from a load cell style to a modern load cell style with no moving parts. Update a chain drive system to a direct drive system. Update from a mechanical variable speed or DC/SCR drive to an AC/VFD drive system. Update from older electronics to the modern MERRICK Genetix process controller. 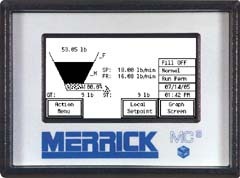 State of the art MERRICK Genetix process controller. TouchScreen numeric and trend displays. Serial ports for connection to industrial networks; DeviceNet, Modbus, Ethernet, etc. Stainless steel load cells—mechanically protected, hermetically sealed. Ease of calibration by any of 4 methods: (material test, test chain, test weights or electronic calibration). No probes or other special equipment needed.